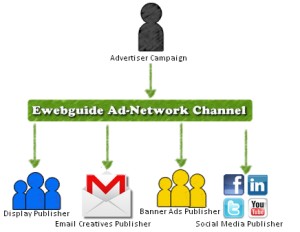 EwebGuide constrains a new revenue for publishers by delivering aiming ads in non-conventional web places. Here you are free to choice the innovative and graceful Campaign that best suit your requirements, fully optimize and customize-able appearance with best support and help provided from our end. You can easily add these Compaign on your website without any extra procedure. Our ad-ware is at ewebguide.hasoffers.com where you can sign up easily and simply start calculating the earning. You not to have worry about any tacking link, our managers manages it properly and knows the value of our affiliates time and take responsibilities for best delivery of the campaigns. View reports on the ads running on the website, clicks and impressions made on the website and more.